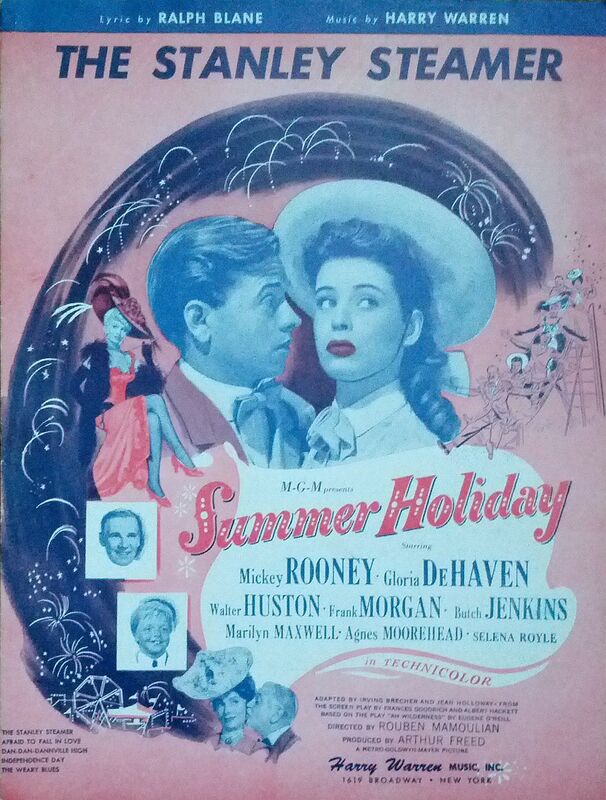 There have been numerous Broadway shows as well as movies that have been titled Summer Holiday. It was the 1948 Metro-Goldwyn-Mayer production “Summer Holiday” that introduced the song "The Stanley Steamer" by Harry Warren and Ralph Blane. The storyline that eventually became the musical was written as a stage play by American playwright Eugene O'Neill. Titled "Ah, Wilderness!" the comedy premiered on Broadway at the Guild Theatre on October 2, 1933. A MGM film with the same name soon followed in 1935 and was directed by Clarence Brown and stared Wallace Beery, Lionel Barrymore, Aline MacMahon and Mickey Rooney. In 1934 MGM decided to turn the story into a musical and hired Director Rouben Mamoulian who had successfully directed the original stage productions of "Oklahoma! ", "Carousel", and "Porgy and Bess". The working title during production remained Ah, Wilderness however by the time the 93-minute film was released through distributor Lowes Incorporated, the name had been changed to "Summer Holiday". The production starred Mickey Rooney, Gloria DeHaven, Walter Huston, Frank Morgan, Butch Jenkins, Marilyn Maxwell, and Agnes Moorehead. Shooting required 113 days during June through October 1946. The screenwriters for the movie were Frances Goodrich and Albert Hacket who consulted with Eugene O'Neill during the writing. MGM hired music writer Harry Warren and lyrcist Ralph Blane to create the musical numbers for the film. They were often called "the transportation fellas" since Harry was the writer for "Chattanooga Choo-choo" and "Atchison, Topeka and the Santa Fe" while Ralph penned the words for "The Trolley Song". While O'Neill's original work was a play, MGM's desire to turn the storyline into a musical required Warren and Blane to come up with songs that fit the themes of O'Neill's work as well as Mamoulian's desire to direct it as a "musical play". The film included such titles as "Afraid to Fall in Love", "Our Home Town" and "The Sweetest Kid I Ever Met". 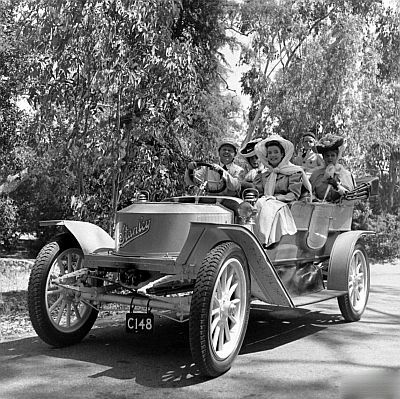 It was a catchly tune titled "The Stanley Steamer" that became arguably the hit song in the show. The basic storyline is intended to depict life in a typical American town and is set in Danville, Connecticut. The musical-play as Mamoulian called it tells the story of the Miller family and the coming of age of a high school senior in the early 20th Century. Rooney, who played the youngest son in the 1935 telling of O'Neill's story, was now the family's oldest son in the 1948 version. While O'Neill's original works involved drunkeness, prostitution, and sexual situations, the MGM censors required these elements toned down so as not to offend general audiences of the time. According to Daily Variety the final cost of the film was $2,258,235 ($404,708 over budget). The production was hampered by a two-week motion picture industry strike and Mamoulian suspended film production but used the time to rehearse scenes and pre-record musical numbers. Filmed in 35mm Technicolor, the monophonic soundtrack was provided using Western Electric audio equipment. The trailer for "Summer Holiday" is available on YouTube by clicking the YouTube logo here. An early 1947 private screening of the film brought poor reviews and MGM chopped scenes and deleted three musical numbers from Rouben Mamoulian's work in an effort to improve it based on private review comments. MGM then held the film from general release for over a year fearing that it would not do well at the box office. Mickey Rooney, who's birth name was Joseph Yule, Jr, had been with MGM since 1934 and his long term contract was about to expire in 1948 adding urgency to the film's release. With MGM's reputation beginning to decline as well as their financial outlook due to a number of films loosing money, MGM accountants were calling for the film's release as well in an attempt to recoop at least some of the expenses. The film was finally released in Sweden in February 1948 and a limited USA release began on April 16, 1948. By the time it debuted in New York City two months later it opened to only die-hard Rooney and DeHaven audiences as the critics had labeled it a waste of time to see. The film was short lived in theaters with most showing it the minimum allowed by contract. It has recieved improved interest in modern times since its release on VHS and eventually DVD. Mickey Rooney's performance was especially targeted by early critics as MGM had cast an actor who was now in his late-twenties as the star of a production were he had to play the part of a teenager. "Summer Holiday" lost nearly $1,500,000 in its initial release and became one of MGM's biggest flops of the era contributing to the company's continued decline. "Summer Holiday" occasionally airs on classic film cable channels. The film is credited with also marking the start of a slump in Rooney's career that lasted into the 1970's. It is generally considered buy movie aficionados to be the biggest flop of director Rouben Mamoulian's career. "Summer Holiday" would not be the last musicalized version of "Ah, Wilderness!". In 1959 the original story was retold in the Broadway musical "Take Me Along", which starred Jackie Gleason. It ran for 448 performances and Gleason won the 1960 Tony Award for Best Actor in a Musical. The storyline was also adapted for the radio on the Campbell Playhouse and Ford Theatre programs. Television versions of O'Neill's original storyline have appeared on ABC, CBS, and PBS in the early 1950s and mid 1970s. Click on the player to hear "The Stanley Steamer" from "Summer Holiday". There are three slightly different sets of lyrics for the music. They are provided HERE. 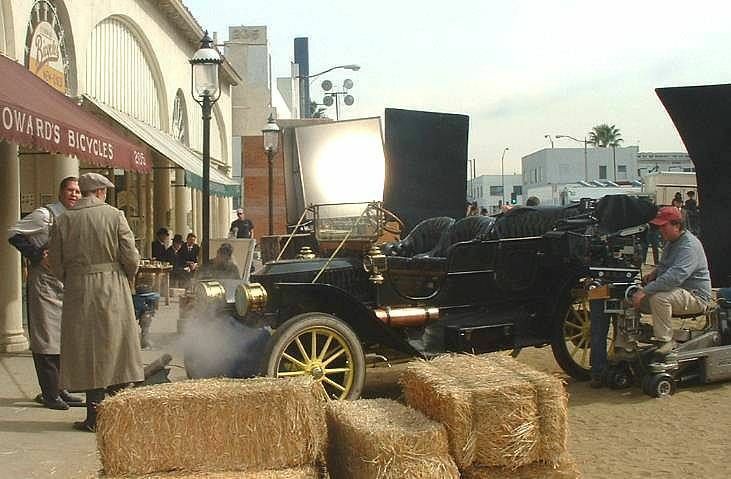 The Stanley Steamer used in the film is a 1910 Model 70 Touring car with chassis number 5668. It is a 20-horsepower, 5-passenger car that MGM purchased in 1939 and owned for a number of years before it was auctioned to a private individual in 1971 for $8,500. IThe vehicle represents a typical Stanley from an era when windshields and headlights were still options. Stanleys never left the factory with installed bumpers. 1910 was the first year that Stanley changed from using letters to designate car models to using two digit numbers to designate car models. 60-series cars were 10-horsepower, 70-series were 20-horsepower, and 80-series were 30-horsepower vehicles. It also marked the first year of metal fenders as standard on all cars. Produced from March 1910 until February 1012, a total of 259 Model 70's were produced at a base price of $1,500. The car is currently privately owned and sees occasional use in California. The lyrics to "The Stanley Steamer" include several words not found in common use or meaning today. Mickey Rooney wears a "duster" while driving. Dusters were light weight loosely worn full length topcoats worn to keep the dust kicked up from driving on dirt roads from covering the driver's clothing. The reference to the "Hubbard gown" relates to dresses of the era more commonly known as "Mother Hubbard dresses". A product of the Victorian era, they were designed to cover as much skin as possible. These "grandmother's dresses" as they were often called had long sleeves, a high cut neckline, and hung from the shoulders straight to the floor without a waistband or belt. They were loose fitting and often made from print fabrics. "Combustor" is another term found in the lyrics. Back in the days before jet engines, a cumbustor was another name for a burner space. Under the boiler of a Stanley is a vaporizing burner fired on gasoline (kerosene wasn't used as the burner fuel on Stanleys until 1913). It is this assembly to which the lyrics refer. Today we more commonly refer to a "combustor" as the can-like unit (there are multiple ones used) within a jet engine where fuel vapor, air, and a continuous spark are combined to initiate the combustion process. The use of the term "adjuster" in the lyrics is a reference to a mechanic or vehicle driver.